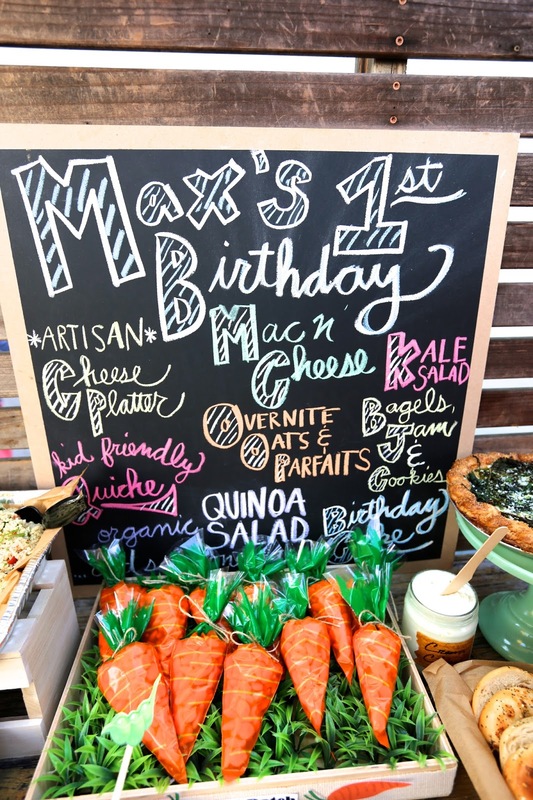 We did a beautiful party for a sweet Farmer's Market loving' Max recently that we really wanted to share. 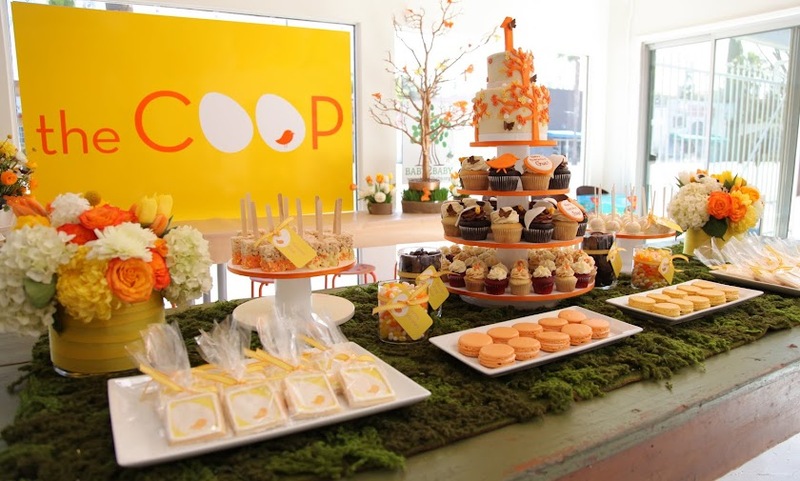 Max's party was going to be the first of our video series "Best Birthday Ever... with the COOP!" which will be airing SOON on POPSUGAR.com. But - sadly - we couldn't get the filming calendar organized fast enough so we couldn't film this one! Shame -- because it was just SO SO Cute -- and full of fun DIY elements that would've been fun to share! 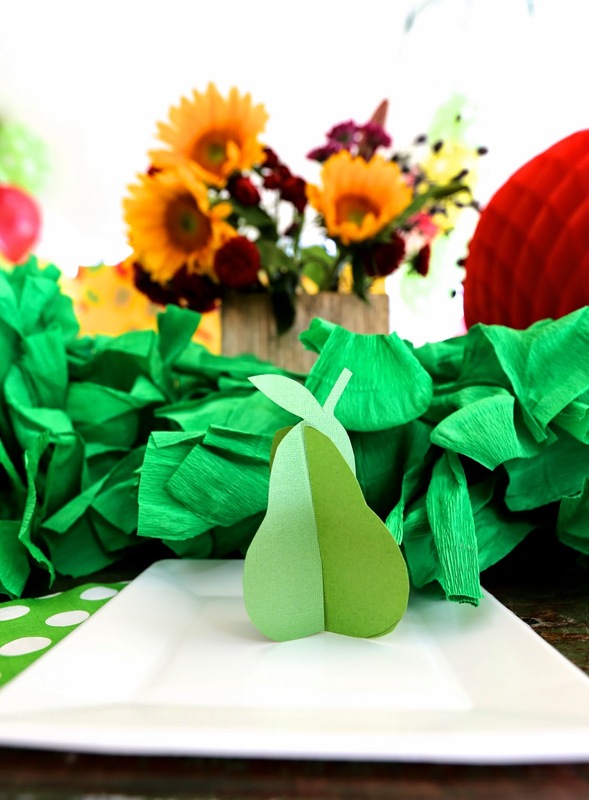 One of my favorite DIY elements was the amaaaaaaazing crepe paper "grass" table runners. I LOOOOOOVE how they turned out ... aren't they FAB? 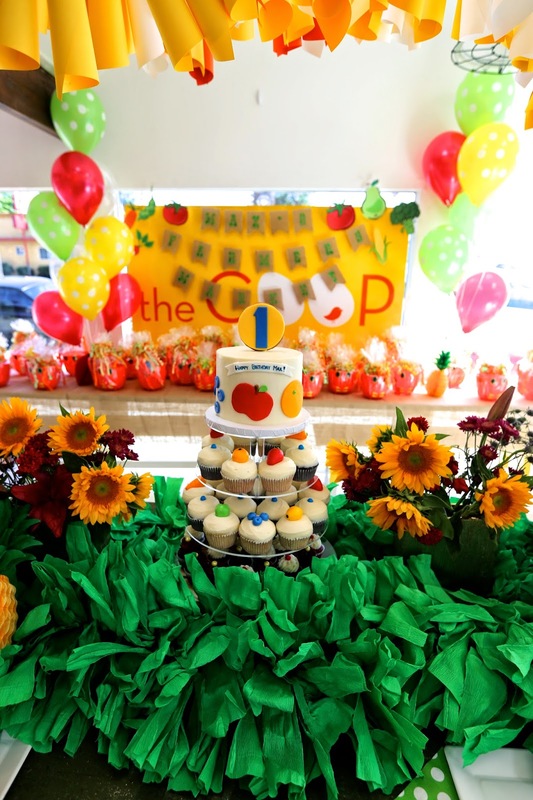 We used them as the main focus on the cake table -- along with some gorgeous flowers and honeycomb fruits and veggies popping out of the "grass". It was so fantastic looking! 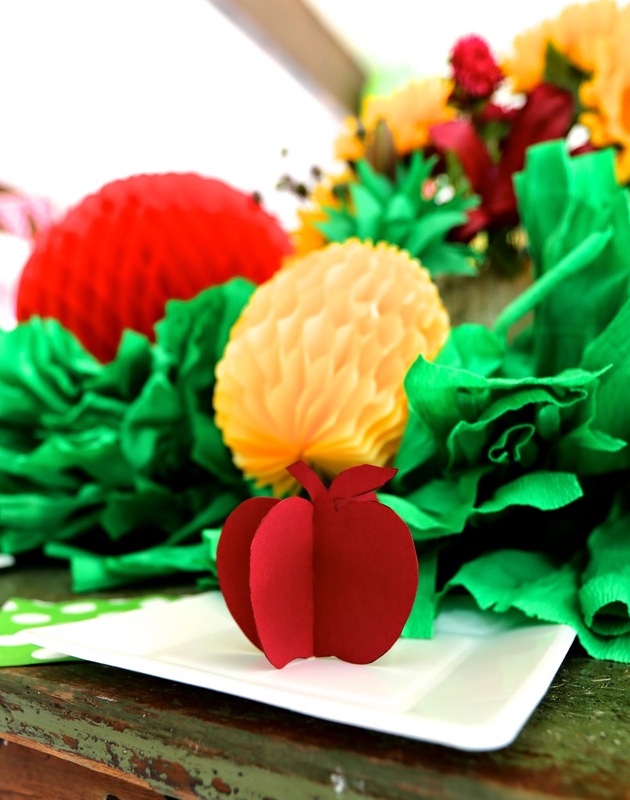 Another favorite for me was the 3D paper fruits at each place setting. They weren't SUPER easy to make (they didn't want to stay standing!) but they looked so cute that the effort was absolutely worth it! 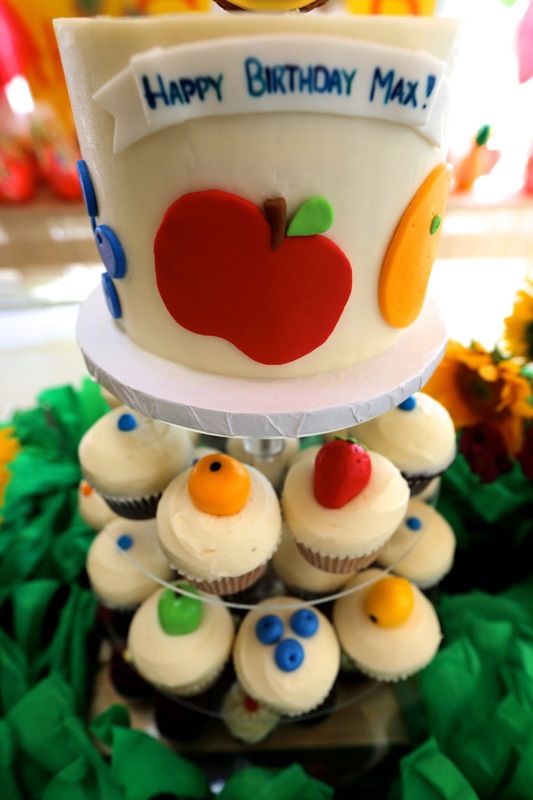 As always Julie from Blue Cupcake did the gorgeous cake and cupcakes. 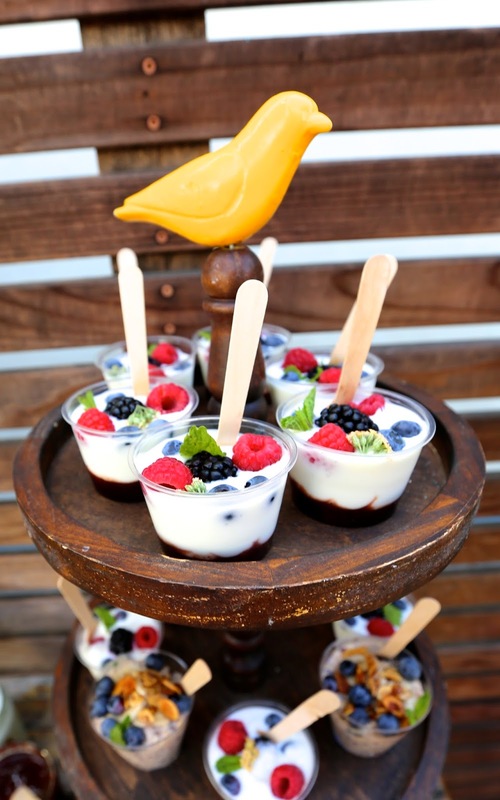 We also made some darling banners for inside and out, and did our cute drink cups with fruit / vegetable cut outs and mini honeycomb fruits on the straws. 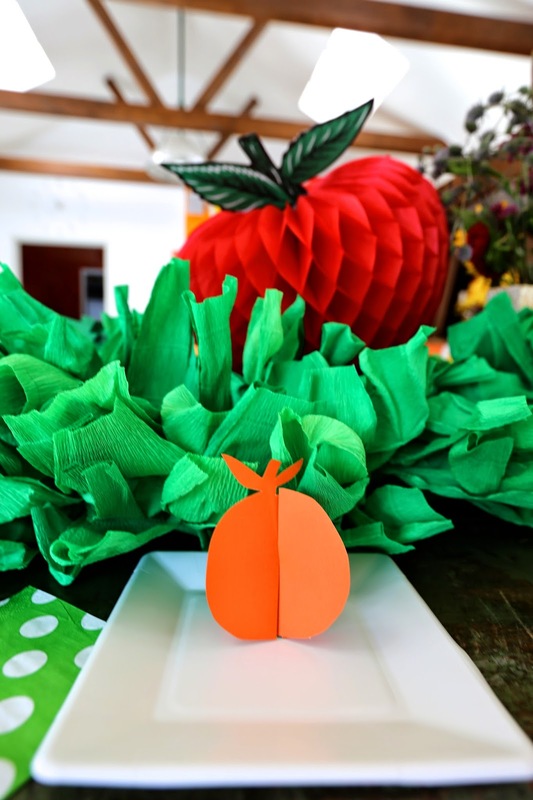 We made a "carrot patch" out of carrot shaped bags we filled with goldfish crackers... also a really cute element! Basically -- we just loved it all! Hope you love the pics!! !